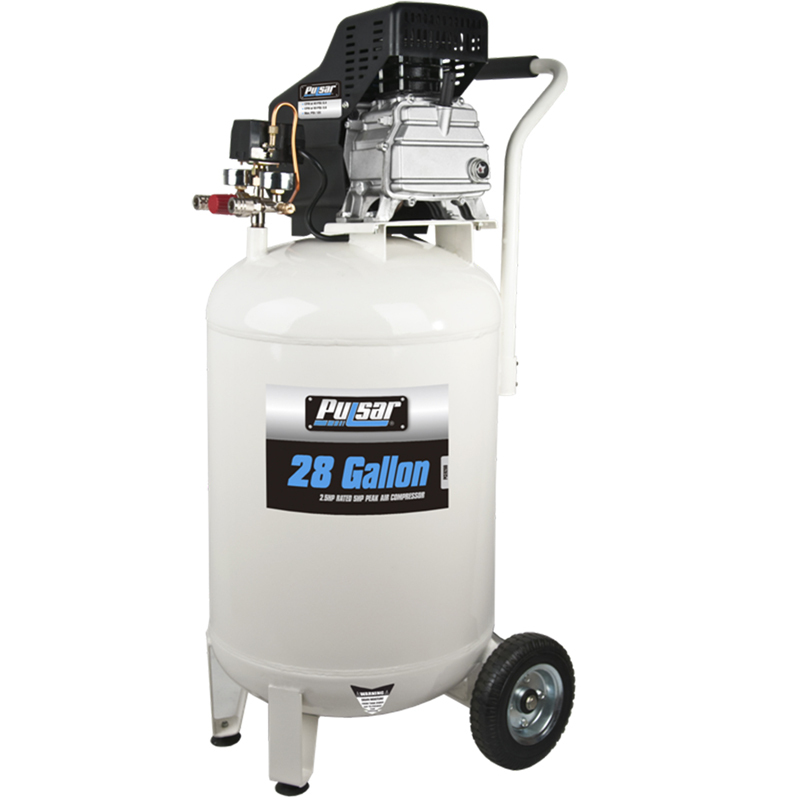 This full size single stage, 28 gallon compressor is designed for the serious user of air tools. With a pro-grade 5.0 HP motor and deep-well oil lube pump, the PCE6280 can perform for hours on end and work with virtually any air tool in the tool box. Producing 115 PSI maximum pressure and CFM’s of 6.2 @ 40 and 5.2 @ 90, the produced air flow and torque will mean that few jobs will be left undone. Add an electro-statically painted tank surface, dual pressure gauges and a brass quick-coupler along with both a compact handle and roll about wheels and one can quickly see why the PCE6280 is a contender for inclusion in any serious handyman’s tool arsenal.